Ever since launching Wealth Research Group in the 1st quarter of 2017, we have been bombarded with emails and questions regarding the inherent cyclicality of the resource sector. It’s a volatile market – probably the most volatile – and its boom and bust cycles are the greatest fortune-making machines in public markets. 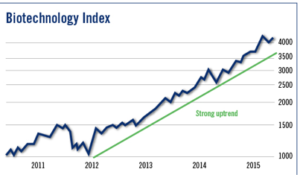 Peter Lynch, the legendary money manager that oversaw the Magellan Fund at Fidelity Investments, who made his clients 29.3% in annual returns between 1977-1990, saw this cyclicality as both a blessing and a gift. I completely agree with him. As you can see, between 2011-2015, when I stayed away from the resource sector, it was a great decision in hindsight, but many investors got caught in the permanent bull phase. It’s fundamentally critical that we all face the reality that commodities are incredible vehicles for wealth. Jim Rogers was able to come to Wall Street with $600 and leave a decade later with more money that he knows what to do with, and there are many others just like him. I want us to outdo the resource legends by taking it one step further. The greatest form of leverage is relationships that permit you to know more, thus reducing your risk to the unknown, and we’ve been making that a reality for you. 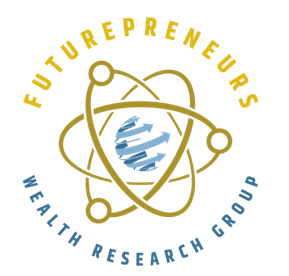 Using leverage to build relationships with the top entrepreneurs in the resource sector, Wealth Research Group has come to learn that there is a convergence of two forces in the small-cap industry, and we are at the epicenter and forefront of a revolution of investing and accumulating wealth. During resource market busts, the key word to remember is diversification, but I have learned that this powerful word is important during bull markets as well. Futurepreneurs are resource investors who realize that minerals are raw materials that have tremendous profit potential, but that’s only the beginning. Immense wealth is made by those geniuses that are able to find new products, patents, and industries to put these minerals to use in, and we are now going to start taking part in this stage of the profit cycle as well. Many of the top entrepreneurs in the resource sector have already become aware of the fact that during slow markets, they can build new ventures in the most futuristic industries, because of the access they have to minerals. Now, you will have the best of both worlds, by leveraging your connection with Wealth Research Group. You will have the ability to diversify your portfolio, and you can now leverage your expertise in the resource sector by investing into cutting-edge products that are made from critical metals, thus opening up an entirely new profit center in your asset toolbox. Using diversification between 2011-2015, investors with a broad outlook could have made a fortune with a simple index, not to mention specific stocks. It’s time we leverage our contacts and team up with the most aggressive and talented resource entrepreneurs. They have crossed the bridge and created opportunities by collaborating with patented, cutting-edge companies that are on the cusp of servicing the largest aging population on the planet – baby boomers – and the reward of helping them with medical issues will be monstrous. 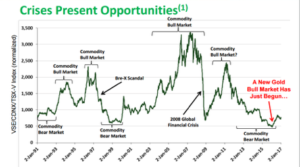 This is an earthquake, because for the first time, it allows us to have upside potential to the resource market 365 days a year, even when the actual commodities are correcting! During the coming weeks, a number of key opportunities will be published, and all I can say is that you should be liquid and ready.